Welcome to the newest installment of Better Know a Young Millionaire. As you know, I love sitting down with young, successful millionaires and discussing how they did it, and trying to take away lessons that we can all learn. The purpose is to inform and inspire, and show you that young adults can be extremely successful! With all the negative press surrounding the millennial generation and their supposed laziness, there are many enterprising young people under 35 starting their own businesses. Some of them are now successful millionaires in their own right! 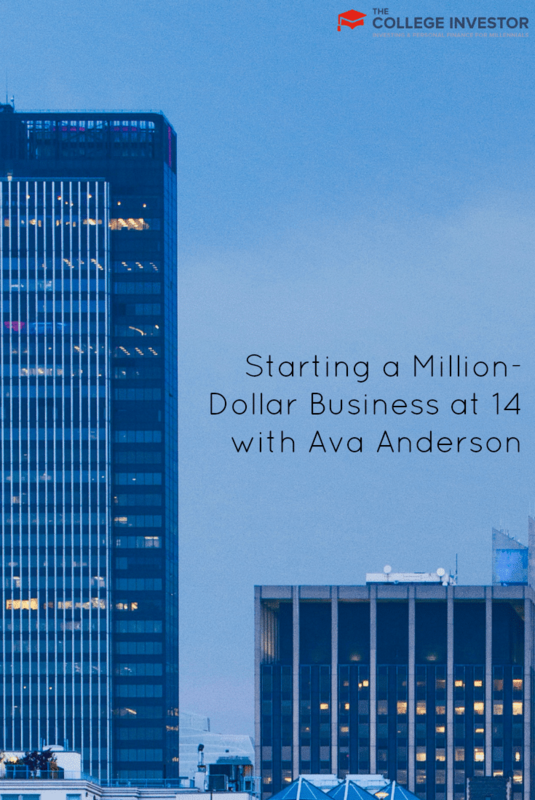 Today we’re sitting down with Ava Anderson, who is a 19-year-old millionaire, and who started her business at the age of 14. 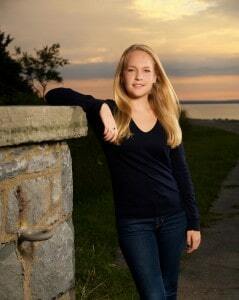 Ava is the founder and CEO of Ava Anderson Non-Toxic, which is the safest organic personal care line in the market. Ava’s collection of organic, non-toxic products enjoy a large celebrity following including Alicia Silverstone, Kelly Preston and Laila Ali. As an eco-beauty expert, Ava has spoken out extensively about the dangers of carcinogens and toxic chemicals and has been featured in Cosmo, Glamour, Seventeen, and Teen Vogue. Let’s get to know Ava a little better . . . .
Ava: I started my business, Ava Anderson Non-Toxic, when I was 14 years old because I could not find any products that I felt safe using or recommending to family and friends. I spent a year researching and learning all about the issue of toxic chemicals in personal care products. The issue goes way beyond makeup! I was unhappy with the chemical ingredients and the associated body burden of daily products from toothpaste and sunscreen to shampoo and deodorant. I even created a blog to try and help people make the safest choices for themselves and their families, but didn’t feel 100% comfortable with anything I suggested. I felt that if I couldn’t find what I was looking for, I would just have to create it myself. I originally anticipated staying local or maybe selling online, but quickly came to the realization that traditional retail wouldn’t be possible because of the important health message we have, which simply does not fit on the back of a bottle. My grandfather started a direct sales company called Princess House, so I knew that the “party plan” method of sales was the only way to get this important information to as many American families as possible while offering safe alternatives at the same time. We have now enrolled close to 3,000 Ava consultants in all 50 states as well as Puerto Rico. Because this endeavor has always been about the health message and not about making money, we created one of the most lucrative compensation plans in the industry to incentivize our consultants to go out and share the message! Our executive team has over 150 combined years of direct sales experience and we provide amazing training tools. It is so thrilling to hear the stories of how a consultant’s life has changed since becoming an Ava Consultant (it costs just $99 to be your own boss). Whether they can pay for private schools, start a college fund, build an addition to their home, or purchase a vacation home, we are always moved by how their new income changes their lives. One of the most touching things I’ve heard is that an Ava consultant was able to leave a job they did not like because they are now matching, or exceeding, their previous income! Our company has grown exponentially and we are now in our 4th year of business. We have had to hire two new shipping employees this month just to keep up with orders — definitely a good problem to have! What was it like starting a business in high school — how did you balance work and school? Ava: While I was in high school, I was lucky that I was not involved in a sport and had plenty of time to focus on the business after school. I was able to manage both my schoolwork and the business pretty well by working several hours each day after classes. While my brother and my friends were at sports practices and games long after the dinner hour, I was able to finish both homework and business work in a reasonable timeframe. I am now 19 years old and entering my sophomore year at Babson College, in Wellesley, Massachusetts. It is the perfect college for me, as they are rated number one in the nation for entrepreneurship programs for both undergraduate and graduate studies. I have classes four days a week, which gives me Fridays off. My schedule allows me a good chunk of time for press and interviews, as well as travel if I need to, on a business day. Babson has been instrumental in connecting me with other well-known entrepreneurs such as Daymond John from Shark Tank and Gail Simmons from Top Chef. In an effort to give back and offer opportunities to other young women with big ideas, my company has funded the first women’s entrepreneurial accelerator in a U.S. college, starting this summer. I never really found my young age to be much of a hindrance, except for a few technicalities. For instance, I was unable to sign a check, purchase orders, or contract legally for the business before age 18. There were also some people along the way who were skeptical that such a big business could be founded by someone so young. I just kept my head down and continued to work away. Eventually they came around. What was it like to make your first $100, $1,000, and $1,000,000? Ava: Hmm, I would just have to say that it has been tremendously exciting to watch us grow so fast. We are now grossing over $5 million a year. Sales are always a great indicator of how many families we have been able to reach that day, month, or year. All profits are funneled back into the business as opposed to taking a salary, so we are able to hire more executives and order larger quantities of product so we can negotiate better bulk pricing. Did you do anything fun with your earnings? Ava: Since we keep the money within the company, I do not have any fun shopping sprees or “first purchase” items to share with you yet. Thankfully, my father is in the private equity/investment industry, so I have a great built-in (pro bono, sorry dad) money manager! Ava: I don’t think there are any changes I would like to have made along the way. If we didn’t follow a winding path, we would not have gotten to the amazing place we are now! We are so proud to have over 60 products in 11 categories (face, hair, skin, body, sun, bugs, scent, candles, home, pet, and baby) and be the “safest full line” of products in the country! It would have been nice to maybe not struggle at some points throughout the journey, but without that, we wouldn’t have experienced the full weight of the great joy of success. What advice do you have for other young adults when it comes to entrepreneurship and money? Ava: I always tell any aspiring entrepreneurs to do their research! (<- Click to Tweet This). Know the product and industry or service they are interested in like the back of their hand. Bring your idea to a parent or trusted mentor/friend. Be sure to have all the knowledge about competitors, patents, and pricing, etc. Don’t be afraid to ask for help, we found our first manufacturer through the advice of a friend. And lastly, hard work takes you great places. I wish anyone who wants to start a business the best of luck. Entrepreneurship is the backbone and future of our country. 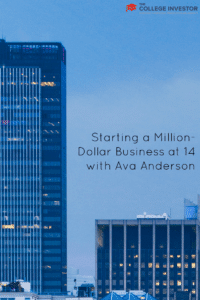 I’m so inspired by Ava’s story because she took something she believed in, started doing it in high school in her spare time, and has turned it into a million-dollar business. I’m a firm believer that you can and should work and hustle through school. If you read my interview with Neil Patel a few weeks back, he did essentially the same thing. I think it sets up your entire life for continued success. The other thing I think is awesome about Ava’s story is that she had a belief in a product and couldn’t find anything out there that matched what she was looking for. Despite the potential competition from huge brands like Mary Kay, Covergirl, and more, she entered the space with a better product and has been enjoying great success. This goes to show that you can enter a space with a great product and still be successful. Inspiring entrepreneurs shouldn’t be scared to jump into a highly competitive space. What do you think about Ava’s story? Could you start a business in school? Nice work Ava. That is what a true entrepreneur does. If they can’t find it, they make it. I started a business in college that was selling a little over a million before I shut it down to focus on my family. I can’t wait to see if I can do it again. Wow, well done! That is truly an entrepreneur right there. Kinda bummed she went the “direct sales” route, but the product speaks for itself. Why the bummer about the direct sales route? Several big companies built business models around it – Mary Kay and HerbaLife come to mind. I am constantly amazed by what this line keeps producing! I NEVER even thought I would work for a direct sales company. And this is the ONLY one I will push because the transparency and message is SO important. As she mentioned in the article, you can’t fit all of that on the back of a bottle! The best part of being young is no fear! You have nothing to lose and everything to gain. Her interest in something created to passion for the opportunity. That is impressive to be that successful at such a young age. She really seems to believe in what she is selling as well. Wow! Very inspirational story. Good to see that she is doing this. I like the direct sales. As a public Health Nurse I enjoy teaching people about the toxins we are exposing our skin, the body’s largest organ, to. The thing I love most about Ava is the trust I have in the company’s research and ingredients! Know about competitors, patents and pricing — these are the words of seasoned businessman or executive. Lot to learn from this young woman. Thanks for interviewing her! It’s impressive what she has accomplished at such a young age. I certainly did not think about starting my own business in high school, but then again my family has zero experience in entrepreneurship and everything that goes with it. I’m sure other young people will feel encouraged to pursue similar goals after reading this.